Thank you for joining us at our inaugural Investec GlobalSelect Investment Conference and for giving us the opportunity to share our views on the issues we collectively face in financial markets. We hope you enjoyed your time with us and that our conference provided you with useful investment insights and solutions for your clients. Please click on the Presentations and agenda link to view the conference presentations and videos. Megatrends shape economies and transform businesses, but are sometimes overlooked as short-term noise overwhelms investors. Our panel will lay out the developments that will transform economies and businesses in the medium and long term, and help you understand how to respond. With effect from June 2018, large-cap Chinese A-shares will be included in the MSCI Emerging Market and ACWI indices. This represents a milestone in the evolution of China’s domestic equity capital markets, the second largest in the world by market capitalisation. As China’s domestic equity market opens up more, to foreign investors, you will need a holistic approach to fully access the real Chinese market. Portfolio breakdown information is insufficient to get more than the crudest understanding of the way a fund might behave in different market conditions; where the true active bets are and where the real risks lie. Investment managers need to think in terms of behaviours and not labels. Much like mechanisation took over from man and beast, machines will be able to ‘think’ in the not so distant future. Artificial intelligence is predicted to be the fastest transition humankind has experienced and while the timing is uncertain, it is a matter of when, not if. Where are we in its development and how can investors following a measured, long term, investment process gain exposure to this theme? As society we tend to imagine that there might be a few changes, but things will more or less remain the same. But, the next 10 years will be a decade of radical change and industry disruption, the like of which we have probably never seen before. The problem is that politicians can’t see that: they spend their time thinking about how to tweak the GDP instead of the wider implications of the fourth industrial revolution and deepening impact into many areas of lifestyle and society. 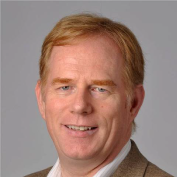 Dr. David Wood, member of the IEET (Institute of Ethics and Emerging Technologies) Board of Directors and chair of London Futurists. Value investing has been out of favour for more than a decade. However, as an investment style, with more than 100 years of data on equity markets around the globe, value has outperformed over the long-term. Is value investing dead or, with a potential recovery can it provide an attractive investment opportunity for patient investors in today’s equity markets? The reason behind market movements and volatility across the various asset classes are driven more by emotion than sound logical fundamentals – fact or fiction? And if this is true, can it help identify asset classes that are most likely to provide optimal returns for investors? What is global equity income and the case for investing in it? How do investors generate consistent and reliable equity returns with less volatility? By applying a strict definition for quality stocks, finding companies with strong cash flows, resilient business models and a policy of returning cash to shareholders. Globally the largest and most powerful companies are increasingly putting more effort behind healthy life extension through the forthcoming transformational technologies of the fourth industrial revolution. This will fundamentally enhance healthcare and radically extend healthy human longevity. The social and economic consequences of this transition will pervade every aspect of our lives and will have a profound impact on the future of retirement planning and medical care costs. Dr. Aubrey de Grey, Biomedical gerontologist, Chief Science Officer of SENS Research Foundation (California) and VP of New Technology Discovery at AgeX Therapeutics. Alex is a member of the Systematic Active Equity (SAE) business within BlackRock's Active Equity Group and is responsible for representing the SAE platform internally and externally within the EMEA region. Prior to his current role, Alex was the lead product strategist for the Natural Resources Equities business within BlackRock. He began his time at the firm in the Proprietary Alpha Strategies team as a product strategist for BlackRock's single strategy hedge funds. He has earned a BA degree, with first class honours, in English Literature and Language from Oxford University. 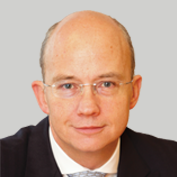 Peter Vincent is the Head of Alternatives and Investment Solutions, EMEA, at Franklin Templeton Investments, with responsibility for developing the firm's alternative investment businesses in Europe and the Middle East. Franklin Templeton's range of alternative products include hedge funds, private equity, private debt, real estate, infrastructure and commodities, as well as bespoke alternative investment solutions. 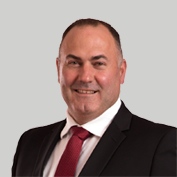 Peter has over 20 years’ experience in financial services, spanning risk management, asset and liability management, securitization and hedge funds. Prior to joining Franklin Templeton in 2013, he worked for at Fauchier Partners, a UK based hedge fund, where he was responsible for business development. Before Fauchier Partners, he ran an asset and liability advisory business within SwissRe Capital Markets, providing capital markets based solutions for insurance companies to manage their risk-based and regulatory capital. He began his career in risk management, initially in FX risk at BP Finance, followed by credit risk at Bankers Trust before becoming a founding member of the risk advisory business at Tokai Bank Europe. He holds an MA (1st Class) in mathematics and philosophy from the University of Edinburgh and an MSc in management from the London Business School. Andrew Howard is a Head of Sustainability Research at Schroders, which involves thought leadership, ESG integration and engagement, in addition to his role as a climate change specialist for Schroders’ Global Climate Change strategy. He joined Schroders in 2016 and is based in London. Andrew was an Equity Analyst at Didas Research from 2013 to 2016, which involved independent investment research for long term investors. He was an Equity Analyst at Goldman Sachs from 2007 to 2013, which involved heading GS SUSTAIN research team in London identifying long term investment opportunities across global industries. He also previously worked at McKinsey & Co as a consultant and Deutsche Bank as Head of European Mining Research. Andrew started his investment career in 1997 as an analyst covering the Steel & Mining sectors at Dresdner Kleinwort Benson. Andrew is a Senior Advisor to Critical Resource and on the Advisory Panel of the Future-Fit Business initiative. He has an MBA in Business Administration and Management from INSEAD and a BSc in Economics from London School of Economics. taking on a number of positions including Head of Nationals and Networks, Director of Global Partnerships and Director of Advisory and Partnerships Sales. Anton is an analyst in the 4Factor team at Investec Asset Management, where he is a technology sector specialist. He originally joined Investec Asset Management on an internship programme in the 4Factor Global Equity team in 2010, having previously worked at Barclays Capital as a business analyst. His career started at a forensic accountancy firm in Johannesburg, South Africa. Anton graduated from the University of Cape Town in South Africa with honours degrees in both Actuarial Science and Finance in 2006. He has passed Level III of the CFA Programme. 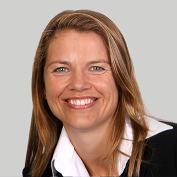 Christine is a portfolio manager at Investec Asset Management where she is co-portfolio manager for the Global Endurance Equity Strategy. 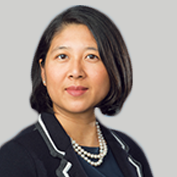 She joined the 4Factor team in 2000 and held responsibilities including global financials sector specialist, global services sector specialist, portfolio manager for the International Equity Fund, as well as heading up the 4Factor UK Equity team from 2004 to 2014 where she was responsible for managing the UK core strategies. 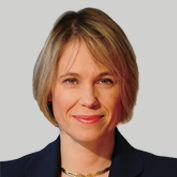 She began her career at Schroder Investment Management, where she was recruited as part of the Schroder Investment Management graduate training programme in 1996. She worked on the UK fund management desk before joining the research department as the UK insurance and tobacco analyst. Christine gained a Master of Philosophy degree in Chemistry from Cambridge University in 1996, after graduating with a first class degree in Natural Sciences the previous year. Claus Born is a senior vice president and institutional portfolio manager for the Templeton Emerging Markets Group, based in the Frankfurt. As an integrated member of the emerging markets team, Claus is the principal conduit to provide perspective and understanding regarding the team's investment strategies to a broad range of clients globally. He also analyses European companies with high exposure to emerging markets economies. Prior to becoming a portfolio manager in 2015, he was an investment analyst based in Buenos Aires. His role included research responsibilities for Latin American companies and input into the allocations in the Latin America and Frontier Markets strategies. Before joining Franklin Templeton in 2000, he was a business analyst at Mannesmann Eurokom, a German telecommunications holding company and a bank business management assistant at Deutsche Bank. Claus holds a degree in business administration from the University of Bayreuth (Germany), specialising in finance, accounting and taxation. He is a Chartered Financial Analyst (CFA) charterholder. He speaks German, English, Spanish and French. Dr. Aubrey de Grey is a biomedical gerontologist, a Fellow of the IEET, and the Chief Science Officer of the SENS Foundation. The editor of Rejuvenation Research, the world’s only peer-reviewed journal focused on intervention in aging, he is an advocate of research seeking answers to how molecular and cellular metabolic damage brings about aging and ways humans can intervene to repair and/or obviate that damage. 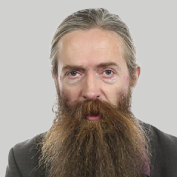 The central goal of Aubrey de Grey’s work is the expedition of developing a true cure for human aging. In his view, the main obstacle to developing such technology is the position of biogerontology at the boundary between basic science and medicine. He believes that the fundamental knowledge necessary to develop truly effective anti-aging medicine mostly exists, but the goal-directed frame of mind that is best suited to turning research findings into tools is very different from the curiosity-driven ethos that generated those findings in the first place. As a scientist with a training in an engineering discipline, specifically that of computer science, Dr. De Grey believes himself to be well placed to bridge this gap. He attempt to do so in three main ways: by doing basic biogerontology research, identifying and promoting specific technological approaches to the reversal (not merely the prevention) of various aspects of aging, and by arguing in a wide range of forums, extending beyond biologists, for the adoption of a more proactive approach to extending the healthy human lifespan sooner rather than later. David Wood, D.Sc., a member of the IEET Board of Directors, has spent 25 years envisioning, architecting, designing, implementing, and avidly using smart mobile devices. As one of the pioneers of the smartphone industry, he co-founded Symbian, the creator of the world’s first successful smartphone operating system, and served on the leadership teams of Psion Software and Symbian from 1996-2009. At different times, his executive responsibilities included software development, technical consulting, developer evangelism, partnering and ecosystem management, and research and innovation. The EPOC32 mobile operating system, of which he was the architect and head of integration of upper layers, went on (renamed as “Symbian OS”) to ship in half a billion smartphones between 2001 and 2012. From 2010 to 2013, David was Technology Planning Lead (CTO) of Accenture Mobility, leading the global team that identified and oversaw staged investments to create assets using emerging or fast-changing mobile technologies. He also co-led Accenture’s “Mobility Health” business initiative, “Mobility innovation for dramatically better healthcare”. He now acts as independent futurist, consultant, and writer, at Delta Wisdom. As chair of London Futurists, David has organized regular meetings in London since March 2008 on futurist, transhumanist, technoprogressive, and singularitarian topics. Membership of London Futurists now exceeds 3,000. Recently David has been building the new UK Transhumanist Party. David received a triple first class mathematics degree from Cambridge, UK. Also at Cambridge, he undertook four years of doctoral research in the philosophy of science – covering the philosophy of mind, the characterisation of pseudo-science, creationism vs. Darwinism, and the shocking implications of quantum mechanics. In November 2005 David received an honorary Doctorate in Science (D.Sc.) from the University of Westminster, in recognition of his services to the smartphone industry. T3 magazine included him in 2009 in their list of the “100 most influential people in technology”. In 2010 he featured in the world’s first Augmented Reality CV. Gary joined M&G in April 2012, with over 10 years’ experience in the financial services industry, having worked at Lloyds Bank and IFDS previously. Gary completed a BA Hons degree in Business Management at The Anglia Ruskin University, he holds the Investment Management Certificate, along with Certificate in Financial Planning. Gary is responsible for managing the advisory and wealth manager relationships in the London region. 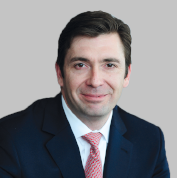 Gavin Ralston is Head of Official Institutions and Thought Leadership at Schroders. In this role his responsible for managing Schroders' relationships with government institutions, including central banks, sovereign wealth funds and national pension funds and the production, coordination and distribution of the firm's thought leadership material. 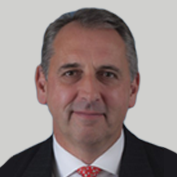 He joined Schroders in 1980 and is based in London. During 2008 to 2012 Gavin was Head of Product at Schroders, where he was responsible for the overall Schroders Product Strategy. Prior to this, he was Head of Continental Europe and Middle East from 2003 to 2008. This role involved responsibility for the sales teams across the nine offices in Europe and setting strategy and sales priorities. 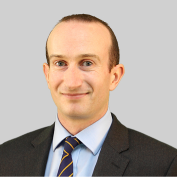 Gavin has BA Classics from Oxford University and is and Associate Member of the UK Society of Investment Professionals. George is a portfolio manager and metals and mining specialist in the Natural Resources team at Investec Asset Management having joined the firm in 2007. Prior to this, he was a market analyst for three years at BHP Billiton, working in The Hague and Singapore. He was recruited to BHP Billiton in 2004 from CRU (Commodities Research Unit), an independent metals/chemicals related research company based in London. At CRU, he spent three years in the Carbon Steel team and five years as a Research Manager – Copper, providing in-depth research and forecasts to the industry, banks and hedge funds. George began his career in 1990 in operations at British Steel Strip Products, working for three years in the Tinplate division. George graduated from the University of Oxford in 1989 with an honours degree in Classics and in 1995 was awarded an MBA from Warwick University. Greg is the portfolio manager for the Asia ex Japan and All China Equity strategies and co-portfolio manager for the Asia Pacific ex Japan Equity Strategy in the 4Factor team at Investec Asset Management. 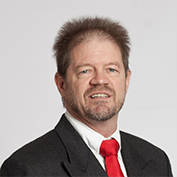 Greg joined Investec Asset Management in 1999 working as an analyst researching Asian and global equities. Prior to this, Greg spent five years at Ernst & Young in Johannesburg, South Africa, within auditing and consulting, where he specialised in mining and financial companies. He qualified as a Chartered Accountant in 1997. Greg graduated from the University of Witwatersrand in Johannesburg, South Africa, in 1994 and achieved a first class degree in Accountancy and is a CFA Charterholder. Hamilton joined Prudential in 2001 and has 26 years’ experience in the financial services industry. 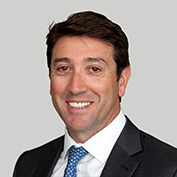 He has worked at various LISPs and asset managers in legal, advisory and sales positions, having started his career in 1993. In his current role, his responsible for managing relationships with Independent Financial Advisers (IFAs), as well as retail client service and expanding Prudential’s presence in the retail market. Hamilton’s qualifications include: BSoc Sc; LLB; Post Graduate Diploma in Tax; and CFP. Hendrik du Toit is Chief Executive Officer at Investec Asset Management and an executive director of Investec plc and Investec Limited. 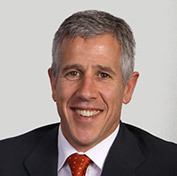 Hendrik joined the Investec Group in 1991 as founding member of Investec Asset Management. Under his stewardship, Investec Asset Management grew from a small South African start-up to an international specialist asset management firm entrusted with over US$ 140.6 billion** of client assets. 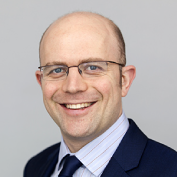 As part of the Investment Strategy team, Hugh contributes to the research and development of investment views across asset classes and regions, and delivers these views to clients. He is also involved in the formation of the BII's views on a range of geopolitical issues and works closely with BlackRock's Global Chief Investment Strategist and Chief Multi-Asset Strategist. Prior to his current role, he was a member of the Financial Institutions Group (FIG) within BlackRock's Institutional Client Business, developing and maintaining relationships with the firm's insurance clients. Hugh graduated from the University of Bristol with a first class honours degree in Mathematics. He is a CFA charterholder and also speaks French. 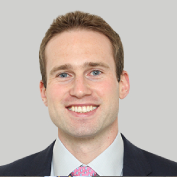 Iain is a portfolio manager in the Multi-Asset team at Investec Asset Management. He is the co-portfolio manager of the Investec Global Multi-Asset Total Return, Investec Global Strategic Managed and the Investec Multi-Asset Protector strategies. 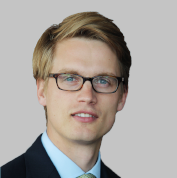 He is also a member of the team’s Macro Research Group, where he focuses on the analysis of structural macro themes, as well as the FX and Rates Research Group. He has a BSc in Economics from Loughborough University, and an MSc in Economics and Finance (with distinction). Iain is also a Chartered Financial Analyst (CFA) Charterholder. 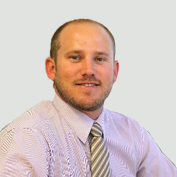 Jaco Botha is the Retail Business Development Manager for Franklin Templeton Investments in Sub-Saharan Africa. His duties include the marketing of Franklin Templeton Investment Funds, including 3rd party platform sales, as well as managing the client service experience. Jaco started his career in Financial Services at Sanlam in 2007, after having completed his B.Com Marketing Management Degree at the University of Stellenbosch. He also holds a Post Graduate Diploma in Financial Planning and obtained his CFP® accreditation in 2009. He was awarded the Claritas Investment Certificate in 2013 and he completed his MBA at the University of Stellenbosch Business School in 2013. 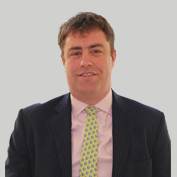 James became Co-head of UK Intermediary Business in October 2016. He was previously head of UK Financial Institutions and Strategic Accounts from September 2013, with responsibility for Schroders’ relationship with their largest distribution partners in the UK. 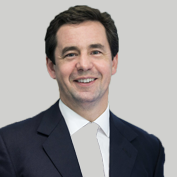 James joined Schroders in 2007 as Head of Marketing UK, responsible for all aspects of marketing to UK intermediary and institutional businesses. 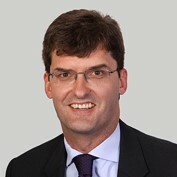 Prior to joining Schroders, James spent 6 years at Baring Asset Management as Director of Fund Promotion and Marketing, where he was responsible for marketing to clients based in the UK and in Asia. .
Jenny joined Prudential Portfolio Managers (now M&G) in 1994, initially analysing European equity markets and acting as a portfolio manager for external clients. She has been part of the Macro and Multi Asset Investment team since it was established in 1999. In January 2011, Jenny was appointed co-manager of the M&G Episode Growth Fund, and in September 2016 took over the management of one of M&G’s charity funds, the National Association of Almshouses Common Investment Fund. Jenny is a Chartered Financial Analyst and has a BA Honours in Economics from Exeter University. 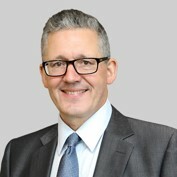 Jonathan Willcocks joined the industry in 1986, beginning his career with Hambros Bank in the Investment Management Division. Having moved into Investment Sales from Hambros, he joined Prolific as Regional Sales Manager in 1993 responsible for marketing mutual funds to intermediaries in East Anglia and West Midlands. 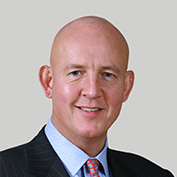 Following the merger with Aberdeen in 1997, he became Investment Sales Director, having additional responsibility for clients in London and Switzerland. He moved to US investment house MFS in 2001 as Sales Director, responsible for sales into UK and Scandinavia before joining M&G Investments in February 2005 where he is now Global Head of Distribution. His current responsibilities include being an Executive Committee and board member, distribution strategy and overseeing all distribution channels globally. 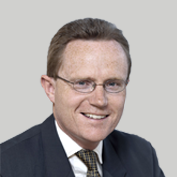 Jonathan is a Fellow of the UK Chartered Securities Institute, and a Chartered Wealth Manager. 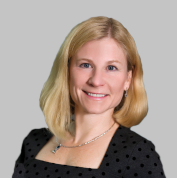 Julie Moret joined Franklin Templeton Investments in 2013. She is responsible for leading the firm's efforts to enhance the integration of ESG considerations into the investment process and investment risk framework across the organisation globally. In her role she partners alongside the Investment Teams and Risk Managers to foster a disciplined, systematic and structured approach to the evaluation of ESG risks and opportunities. She joined from Aviva Investors, where she was employed between 2009 – 2013. She initially held the position of equity portfolio risk manager, where she was responsible for managing a team of equity risk analysts and for the investment risk oversight across all Aviva Investors equity funds. Julie then moved into the head of investment risk strategy role where she was responsible for establishing Aviva's global investment risk framework. Prior to this, Julie spent over 8 years at Barra, now MSCI where she was a vice president in their Risk Analytics Team, working with clients globally on education, usage and integration of risk analytics across equity and fixed income within client organisations. She has a B.A. in Economics and M.A. in International Economics from Essex University. 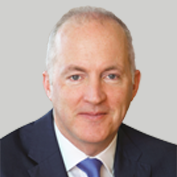 Kevin Murphy is a Co-head of the Global Value Team at Schroders, and a founding member in 2013 of this team of value investors who manage UK, European and global portfolios. 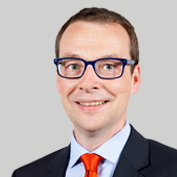 He is co-manager of the Schroder UK Income, UK Recovery and Global Recovery funds. 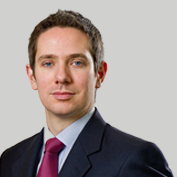 He joined Schroders in 2000 and is based in London. 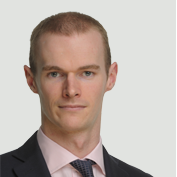 Kevin was a Fund Manager and Analyst at Schroders from 2000 to 2013, commencing his career in the UK equity fund management team before taking responsibility for the Pan European Construction and Building Materials sectors. He became co-manager of the Schroder Recovery Fund in 2006 and the Schroder Income Fund in 2010. Khoabane is a Vice President in BlackRock’s South Africa office as well as a member of BlackRock's Middle East & Africa regional team where his responsible for Retail and Institutional client relationship management. Khoabane started his career at BlackRock in 2006, which includes his years with Barclays Global Investors (BGI) which merged with BlackRock in 2009. 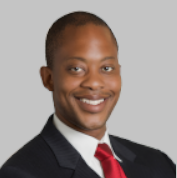 Prior to joining the South African office in 2016, Khoabane was in the US iShares Capital Markets Group, where he was responsible for delivering market insights, execution service and product structure and; Transition Strategist in BlackRock's US Transition Management Group, where he was responsible for helping Pension, Foundation, and Endowment clients tactically reallocate investments. He has undergraduate degrees in Economics and Political Science from Bates College and a MBA from the Wharton School of the University of Pennsylvania. With over 24 years’ experience in investment management, Marc Beckenstrater joined M&G Investments in March 2017 as lead portfolio manager for the Prudential Global Funds (PGF) range of international funds. Prior to this, he was CIO for nearly 7 years and Head of Equity for 10 years at Prudential Investment Managers South Africa, including managing several award-winning equity and international portfolios. He holds an MBA from UCT and a BSc in Electrical Engineering from WITS. Michael Gruener is Managing Director and Head of BlackRock's Europe, Middle East and Africa Retail business. Michael joined BlackRock in 2012 as the Head of BlackRock's German, Austria and Eastern Europe iShares sales team and in 2014 became Head of the iShares Wealth and Retail client segment in EMEA. He was later appointed the Co-head of the EMEA Sales for iShares. Michael began his current role in July 2017 and has more than 20 years of experience in the financial services industry. Prior to joining BlackRock, Michael worked for 10 years at Goldman Sachs Asset Management in multiple distribution roles in Chicago, London and Frankfurt. He holds a German Banker qualification and a BA honors degree from the Cambridge Polytechnic University in Finance and Controlling. He also holds a degree from the Berlin School of Economics in Business Administration and Finance. Michael is a portfolio manager, investment specialist and strategist in the Global Emerging Market Debt team at Investec Asset Management. He is responsible for managing the Emerging Markets Blended Debt Strategy and Emerging Markets Multi-Asset Strategy. He is also responsible for Latin American regional and Top-Down asset allocation research and generating trade ideas including top-down/global themes and quantitative modelling. Prior to joining Investec Asset Management, Michael worked at Amiya Capital, a global/emerging market hedge fund where he was an economist, and before that, he was an emerging market economist and strategist at Standard Bank, London. Prior to Standard Bank, he spent two years working as a technical advisor to the Budget Office, Nigerian Ministry of Finance. Michael graduated with a Master of Philosophy in Economics (distinction) and a first class Bachelor of Arts (Hons) in Philosophy, Politics and Economics, both from the University of Oxford. 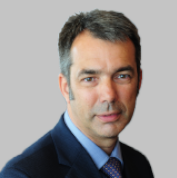 Peter Harrison is Group Chief Executive at Schroders, which involves management of the overall business and strategic development of the Group. 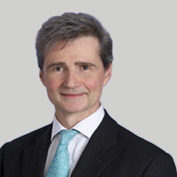 He joined Schroders in 1988 and is based in London. 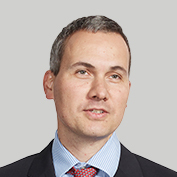 Peter was Head of Investment and Global Head of Equities at Schroders from 2013 to 2016, which involved managing the overall investment strategy of the Group. He was Chief Executive Officer and Chairman at RWC Partners Limited from 2006 to 2013, which involved managing overall Group strategy. He was Global Chief Investment Officer of Europe at Deutsche Asset Management Inc. from 2004 to 2006, which involved managing the investment strategy for Europe. 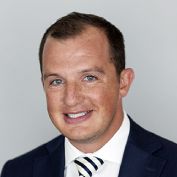 Richard is based in New York and joined Investec Asset Management in 2006. He is a Managing Director and oversees Investec Asset Management’s Global Advisor business. He is also head of Global Financial Institutions Group and is currently responsible for our business in South America and our North American and European Advisor businesses. Richard originally joined Investec Asset Management to head up the Americas business and subsequently ran our business in Europe and then became responsible for our institutional and advisor business in North and South America. Prior to this Richard was CEO of Janus International and was responsible for their business outside the US. He was also senior vice president at J&W Seligman in New York. 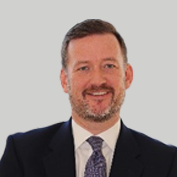 Before moving to the US in 1994 Richard was based in London and worked for Henderson Global Investors, Morgan Grenfell Investment Management and Hambros Investment Management. He graduated from the University of Leeds in 1984 with a joint honours degree in English and German. 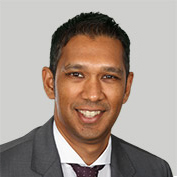 Sangeeth is the deputy managing director of the Africa Client Group and has been with Investec Asset Management since 2000. He is responsible for the strategic direction of the business and several of our key client relationships. Sangeeth is an actuary by profession and an alumnus of Harvard Business School’s leadership development programme. Sherry joined BlackRock in 2012 as Co-Global Chief Investment Officer and Chair of the Investment Committee for the Global Real Estate Securities Group. She sits on the BlackRock Americas Investment Stewardship Advisory Committee, the BlackRock Americas Research Commission Oversight Committee, and the BlackRock Equity Policy Oversight Committee. With 25 years of experience in real estate and real estate securities, she most recently served as the Senior Portfolio Manager, REITs-Americas for Aviva Investors Global Listed Real Estate Securities Team. Before joining BlackRock, she was a Managing Director and Portfolio Manager with ING Clarion Real Estate Securities with $10 billion in assets under management and included global, U.S., income and long short hedge fund mandates. Prior to ING, she worked for AEW Capital Management, the U.S. Environmental Protection Agency and the General Services Administration. She graduated from Haverford College, has an MBA from The Wharton School, University of Pennsylvania, is a Chartered Financial Analyst and a member of the CFA Institute and NAREIT. She serves on the FTSE NAREIT Index Series Advisory Committee and she is a member of the Advisory Board for 'Fords in Finance and an active member of Wharton Women in Leadership. Stuart Reeve, Managing Director and portfolio manager, is Head of the Global Equity team within the Fundamental Division of BlackRock's Active Equities Platform. He is the co-manager for Global Dividend, International Dividend and Long-Horizon portfolios. Stuart joined BlackRock in 2005, including his years with Merrill Lynch Investment Managers (MLIM), which merged with BlackRock in 2006. At MLIM, his primary responsibilities included the Global Equity team's investments in food, beverage and tobacco. Prior to joining MLIM in 2005, he was a Pan-European food, beverage and tobacco analyst with Credit Agricole Asset Management. Stuart started his career at Touche Ross before joining Robert Fleming Securities, where he worked as a Pan-European beverages analyst. He earned a BA degree with honours in economics and history at the University of East Anglia in 1984. Tom is an analyst within the 4Factor team at Investec Asset Management responsible for global industrials. Prior to this, Tom started his career at M&G Investments where he also worked as a global equity analyst. He was initially responsible for global consumer discretionary across M&G’s funds, before then becoming a global generalist, focusing on dividend and value strategies. 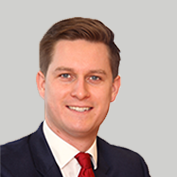 Tom secured a Bachelor of Science degree in Accounting and Finance from Warwick Business School, whilst further obtaining his Investment Management Certificate (IMC) in 2011 and CFA designation in 2015.